If your facility is interested in enrolling multiple students, we offer a $500 discount per student for groups of 4 or more. 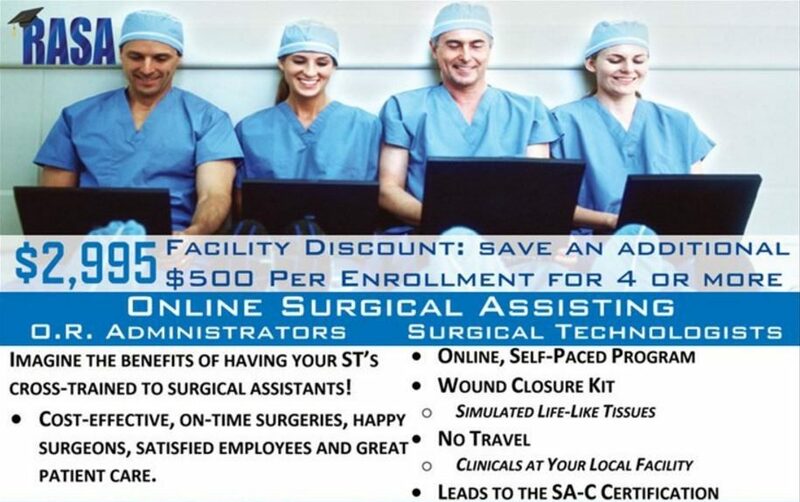 This is how you and your colleagues can advance your surgical assisting careers together! All students simply need to be from the same facility or local hospital system. Facilities or students can pay for the program. We have found when groups go through the program, they advance to their goal much quicker. Groups are able to meet and discuss information in order to succeed. Groups can also share books and notes, to help each other along the way. The average time to complete the home-study, didactic portion is approximately 200 hours. Students then begin the clinical internship. However, we have had dedicated students complete the home-study portion in less than ONE month!